Happily Ever After Mitts – Free Pattern! I am bringing you the Happily Ever After Mitts today! I swear that once I put these on I never want to take them off. They feel so good on these cool fall mornings. What a fun little project that whips up so quickly and simply. I hope you will enjoy making these as much as I did. For the pattern I wrote both the striped instruction and instructions for making a one color version! 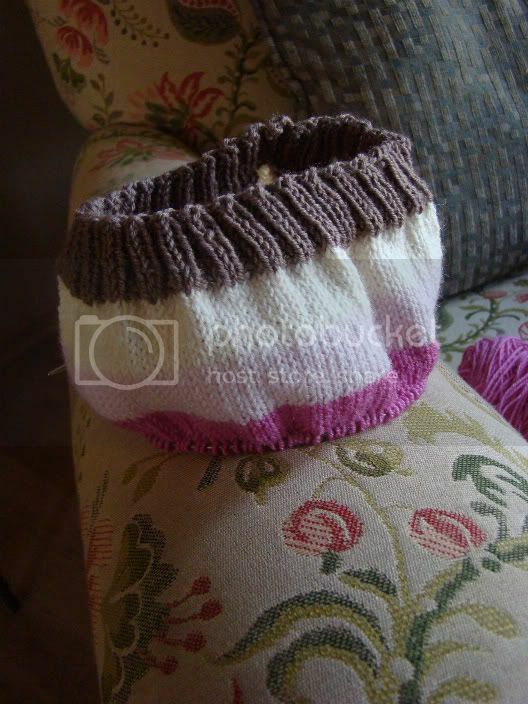 The one color version (both mitts) can be made with only 1 skein of Fine. 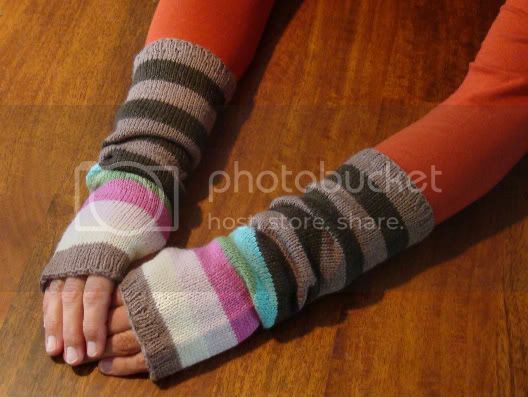 If you want to stripe only two colors and have 2 skeins of Fine you can make 2 pairs of the mitts. There are lots of options. 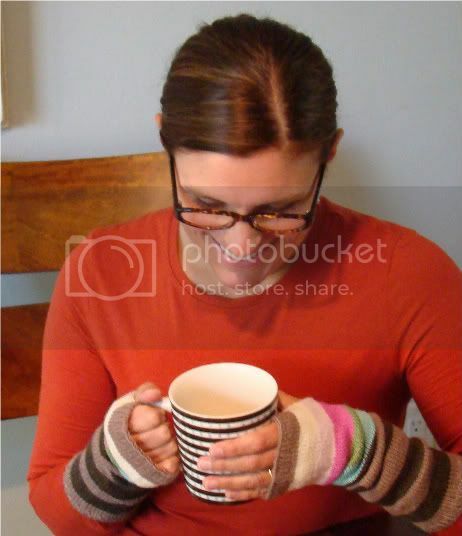 OR 1 skein of Fine will make a complete pair of mitts in one color! 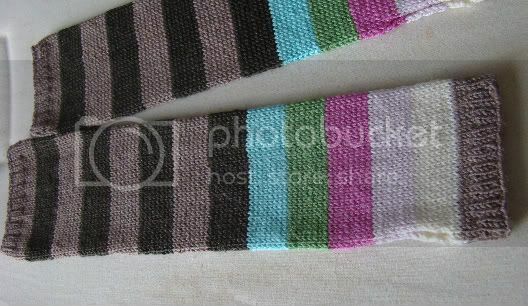 OR 2 skeins of Fine in two shades to stripe will make 2 pairs of mitts! Note: You can easily make these longer or shorter to suit your needs and you can try them on as you go to help figure out the length that’s best for you. Right and left mitts are made exactly the same! I don’t know why are these so comforting but I’m not going to complain. The yarn is exquisite and I think the silk that is in the blend makes all of the difference in the world. Fine is incredible sock yarn. You can adjust the length easily to be shorter or longer, just make note that the yarn requirements may vary if you make changes. 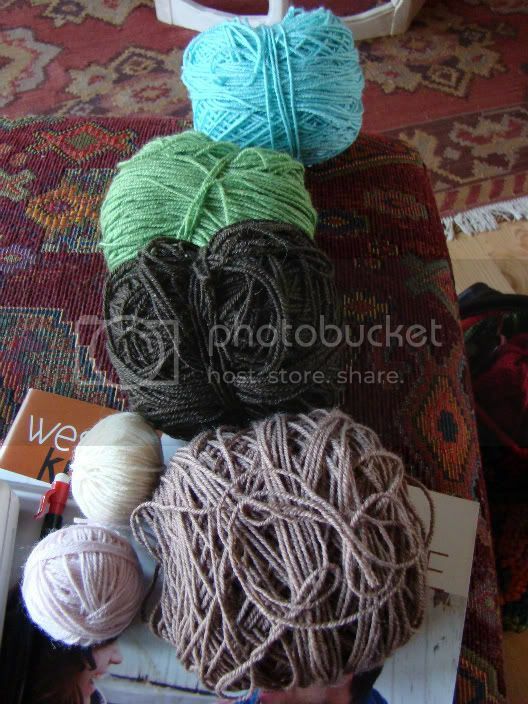 And what am I doing with the left over yarn? I am making a delicious little Happily Ever After Hat to match! I will have this up for you as soon as I finish. Click here to download the free pattern for the Happily Ever After Mitts! Click here for the Ravelry project page link! Orange You Glad You Stopped By? More Last-Minute Knitted Gifts Giveaway!